1979 Datsun Laurel 2.4: wikipedia.org (give them some money, please). More interesting are some of the between-the-line gleanings in the article. I will get to them in a moment. First, some context. The C230/C231 had a shortish run, from 1977 to 1980 and it was only in December 1979 that Autocar got to review what was sold in the United Kingdom as the Datsun 2.4 Laurel Six. Isn’t that odd? They can only have sold this car for a short year before the replacement C31 appeared. That cumbersome name, 2.4 Laurel Six, tells you Datsun weren’t sure how to sell this car: shall we spell out the engine capacity, the cylinder number or will we give it a nice friendly name? All of the above. Even in 1979 naming a car after its cylinder count must have seemed a bit passé**. For convenience we’ll call this car the Datsun Laurel 2.4. At this time Datsun was known better for its smaller cars and sports cars. Autocar made this point clear at the start of their review. This indicates that, for most readers in 1979, the Laurel must have been something of an obscurity. Thank Beano for these old magazines. We can be reasonably confident of the specifications. Datsun’s Laurel measured 4625 mm tail to nose, extended 1689 mm from side to side and could pass under a 1401 mm high crossbarrier. Autocar rated the Datsun six motor very highly, this engine distinguishing the 2.4 from the less torquey and less efficient 2.0 six -cylinder version*. Said Autocar, the six had “proven to be this most rugged OHC straight six cylinder unit”. It produced 113 bhp, 129 lb/ft of torque and had (I love this detail) a single Hitachi twin-choke carburettor. The essence of this car is the torque rather than bhp per tonnne. Autocar described a car tuned for good pick-up from stationary and to be happy pootling around at about 60 mph, getting a decent 25 mpg at that speed. At 80 it got noisy, both enginewise and due to A-pillar turbulence. Further underlining the laid back character of the car, it had a super-low steering ratio: 4.5 to 1, a powered recirculating ball system. For suspension, the Laurel had McPherson struts and coils up front; at the rear a live axle, four link arrangement with coils and telescopic dampers. It’s wonderfully old-school and resulted in a car that didn’t ride too well (not badly though) at medium speed but which had neutral handling on the limit and tricky-to-judge steering (that low ratio) and little body-roll. 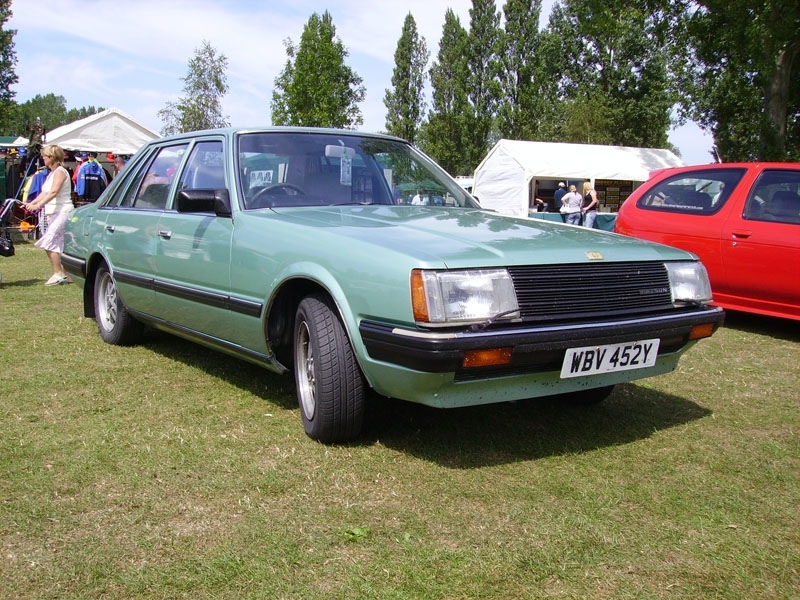 Autocar compared the Laurel favourably to the Ford Cortina in relation to its resistance to understeer: “it is capable of cornering quite quickly. The rear wheels stay firmly glued to the road”. But “for a luxury car the suspension settings are surprisingly firm, something that contributed to the car’s essentially predictable handling.” I really would like to take this car and the benchmark Benz W-123 out for a face-to-face contest. The Laurel did not like rough surfaces at lower-speeds but going faster the suspension seemed to be able to smother irregularities. This is probably not the way to go about it, especially for urban drivers who spend most time between stand-still and 45 mph; but I interpret the test to mean that if you wanted to blat across country at 65-70 mph the car would be okay. Finally, those between the lines bits. Talking about the Laurel 2.0 4-cylinder, Autocar declared the car’s performance to be less than you’d expect from a car “built to compete with the likes of Audi, Ford or BMW”. Isn’t it interesting that a) the Datsun is compared to those three and b) that Ford sits equal with Audi and BMW. At the back section of the road-test (six closely-printed pages), we find the Laurel compared to the Audi 100 GL 5S, the Citroen CX 2400 Pallas, the Ford Granada 2.3 GL, the Austin Princes 220 HLS and Volvo 244 GL. I note that the Volvo 244 cost the most, a heady £7,400. 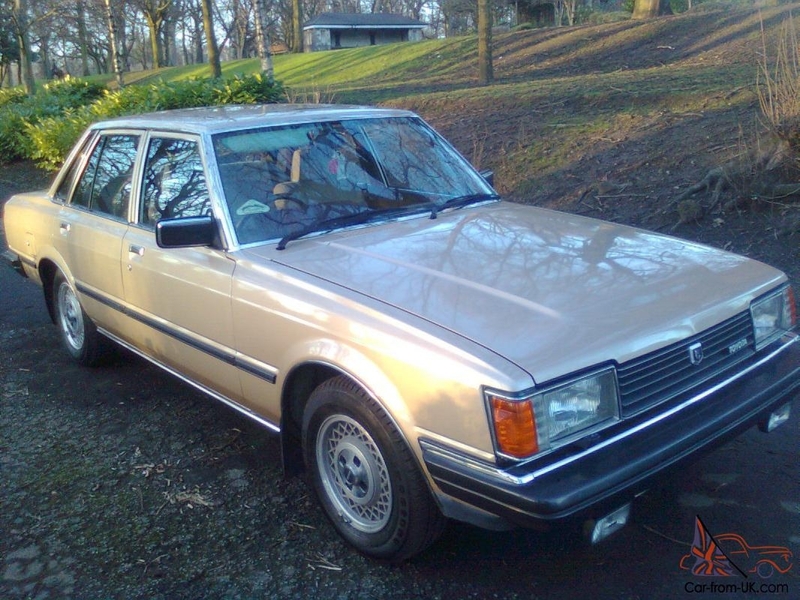 The Granada cost the second most and the CX was the third priciest. Something odd happened to cars’ prices in the last 40 years. It is also interesting that I am transcribing those words in the week Infiniti (a descendent of Datsun) gave up the fight in the lower executive class in Europe. The particular reasons for the lack of success are different but the overall problem was the same: inconsistency. *that two-litre six puts the Datsun Laurel in that special class of cars with small in-line sixes. **The Alfa Six appeared in 1979! Question: which was the last mainstream car in Europe to have a name indicative of its cylinder count and only its cylinder count? I remember looking at this generation of Laurel as a teenager in Dublin. One of our neighbours had one and my impression (and theirs) was that it appeared to be a lot of car for the money compared with its European competitors. Lots of external brightwork and a rich looking interior looked impressive in the showroom, certainly in comparison with the rather austere look of the Mk2 Granada (Ghia version excepted). It was actually a rather old-fashioned aesthetic by 1980, but appealed to older buyers, rather like Buick’s demographic in the US. This style was very much in vogue in the US in the 1980’s, so perhaps this was a tacit acknowledgement that the Laurel’ s biggest export market was there, not Europe? Daniel: thanks. Yes, I remember these Japanese cars standing out for their unusual appearance. They were much busier than similar sized cars from Opel and Ford. At the time I wrote them off because of received wisdom. These days they are rather fascinating. 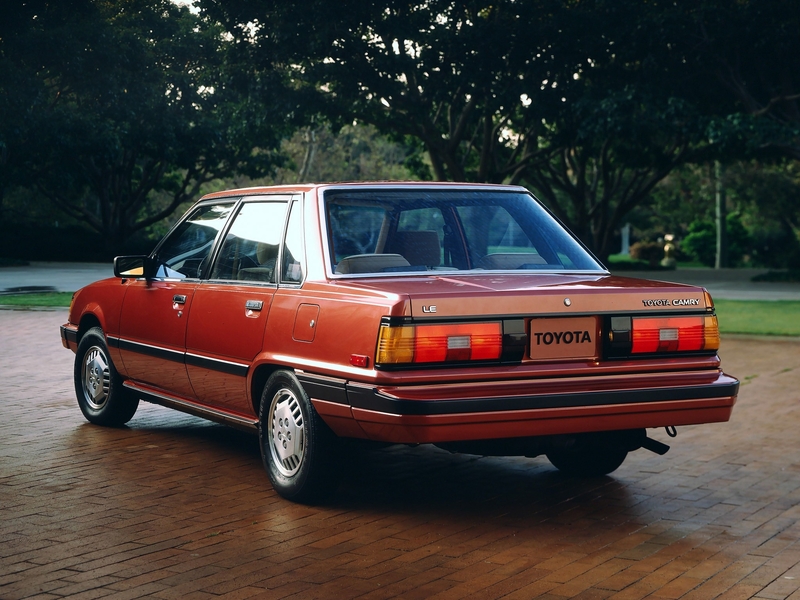 I like the later versions as well, and especially the late 80s semi-rounded US-style of cars like the Camry and especially the Cressida (the one from around 1988 or so). I get the impression the later 80s cars were very solid and durable too but none remain now, alas. Thank you for this review. I noticed there’s a little game at the end but since my epiphany about the Scorpio I don’t feel the urge to play anymore: it’s as if my chakras have been cleansed and I no longer want to chase that utopia. I guess this is how addicts feel about crack after giving up or overweight people feel about food after gastric bypass surgery. Good morning, NRJ. You are displaying all the righteousness of the reformed, but do remember that you’re only one tantalising puzzle away from a relapse. In any event, Mark, above, has scooped up today’s prize, unless Richard knows otherwise, of course! Good morning Daniel, thank you for your support. I really like the brown pre-facelift model, it looks photoshopped in that picture even though it can’t be. I like the C32 too, rectilinear lines and all, reminds me of one of the Galant of that time. The restyled C31 in green is my least favourite. And I think it’s funny how they’ve added an extra window to the C31 restyling with what seems to be pretty much the same body in white. This is quite rare I would think. It reminds me how I always admired the japanese carmakers for having a quick model turn over when they want to (New Civic every 4 years for example). There’s a touch of the Crown Victoria Police Interceptor special to the brown car, with its black wheels and small hubcaps, don’t you think? My brother-in-law’s brother-in-law (not me, another one!) had one of the latter and it did an intergalactic mileage without ever missing a beat. Oohh you’ve got me spoiled. I thought the same thing about the brown Laurel this morning: it looks like an American Police car ! Talking about the Camry, this Japanese advert from 2017 is one of my favourite ad of the last few years. I love the “beautiful monster” tagline, although I’m not sure this slogan would have worked elsewhere. 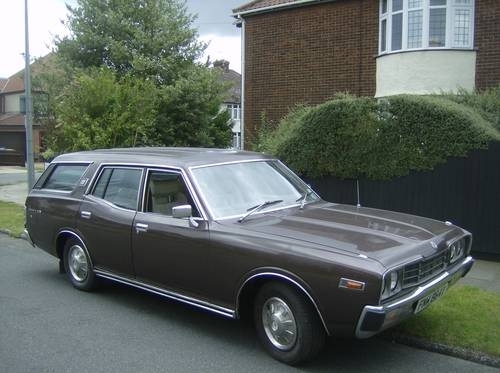 My dad has a similar brown/orange Datsun Laurel 2.4 Auto and himself maintains he got a lot of car for the money, he claims he drove it before I was born yet distinctly remember being driven around in it prior to the car being written off after a lorry went into the back of it. Oh, goodness, there has been a lot of very tasty Tokyo tinsel today. The bordeaux Camry, in particular, looks lush. Let us also remember these cars were stuffed with features. That Laurel article I was writing about called them “gimmicks” but each “gimmick” they listed in the article is a standard feature in up-scale cars today. The Japenese wanted to offer the customer fun and useful stuff and could afford to do so. This was obviousy resented by the Europeans who were content to offer keep-fit window winders and a sock storage bin in place of an FM-AM radio. If I recall correctly, one of the standard features on this car was a mechanical timer that switched off the heated rear window after a pre-set time to stop it being left on inadvertently. Perfectly sensible, yet still not standard today in electronic form. How about the 81-84 Maxima’s voice warning system which used a miniature record player? 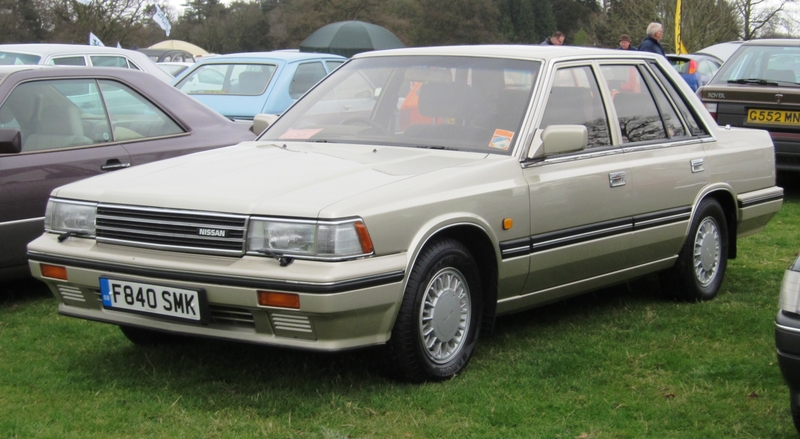 The Maxima and its 810 predecessor were a sort of Japanese equivalent of the Morris Isis – a long nosed Bluebird with a straight six. Fitting that they beat the Cowley-built Maestro by a couple of years in the voice warning stakes. Daniel – Very “Beautiful Monster©” this estate. 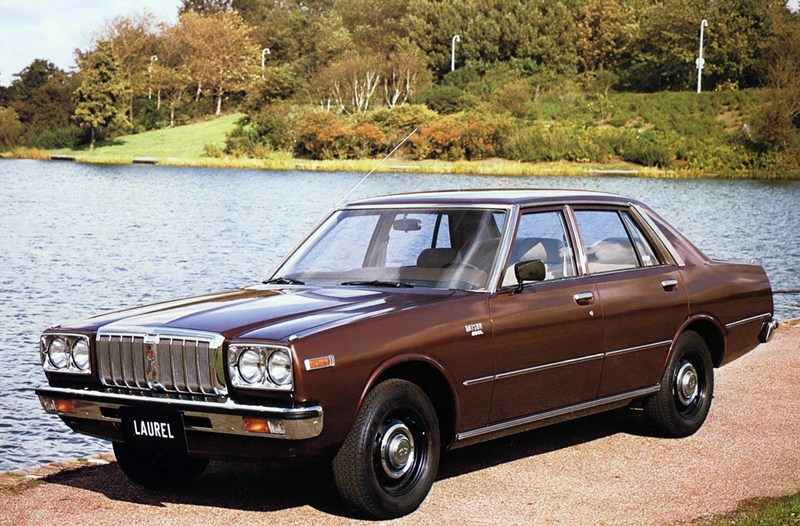 Daniel: that estate “matches” the rare Toyota Crown estate. These are all cars for my “ordinary car museum”. Lovely. More refined in many ways…. The Laurel was sold here as the Datsun 810 – it had Bosch fuel injection with 125 bhp and independent rear suspension of similar form to the 240Z sports car, not a solid axle coil-springer like a Cortina. Looks like Datsun gave Europe the cheap version with twin choke carb because you had no emission controls whatsoever and still ran poisonous leaded petrol until 1992. Mind you, if you bought the 810 wagon here, you got leaf springs out back which was a bit annoying because these cars weren’t cheap. Buy the Volvo 240 wagon then, man, and for goodness sake spend extra for power steering! As the range topper, the 810 sort of competed against big American cars on price. The main bonus was the smooth fuel injected engine compared to cathartic Malaise era carbed US cars, But honestly, I’d still have picked a full size Chevrolet against the 810 in 1978. Overall they were super-smoooth and didn’t rust like these Datsun buckets, although if you’re of the magpie persuasion, the Tokyo-by-night dashes and cheap digital clocks were fun for the first 5 minutes. The vast majority of Datsuns sold were lower models of no particular redeeming virtue whatsoever. Toyotas were quite a bit better made, and early Hondas much nicer to drive, if just as rust prone as Datsuns. That’s why I bought Audis during this time period – the bodywork was from another galaxy of better. Bill: thank you for that. The exigencies of international marketing of Japanese cars make tracking the cars lives across continents extremely hard. Your explanation probably would double the entry at Wikipedia. There are lots of things to do in retirement: maybe I might spend a year documenting Japanese cars 1950-2000.